Bitcoin has been on my radar for some time but as a purely online currency it has always felt too speculative (and after all of my research, to a lesser degree, still does if I’m honest). Jonny on the other hand has been following the evolution of bitcoin and its heady rise upwards and he has been getting more and more keen to get involved and buy some. And he is also regretting we did not buy sooner. Bitcoin is a worldwide cryptocurrency and digital payment system called the first decentralized digital currency, as the system works without a central repository or single administrator. It was invented by an unknown person or group of people under the name Satoshi Nakamoto and released as open-sourced software in 2009. The system is peer-to-peer, and transactions take place between users directly, without an intermediary. These transactions are verified by network nodes and recorded in a public distributed ledger called a blockchain. And just so you are aware, bitcoin is not the only cryptocurrency out there. Hot on its heels is Etherium as the second largest but bitcoin is considered the largest and most secure. And there are other digital currencies coming through all the time trying to gain traction. Where can you use it in NZ? Apparently the Dogs Bollix Irish Bar in Auckland accepts bitcoin and a quick search of them shows that the local bitcoin community have regular meet ups there as well. When you pay for your Central Otago Pinot Noir with bitcoin at this bar there are NO transaction costs and bank fees involved with using it. There are a number of businesses who accept it here in NZ and there are also a couple of bitcoin ATM’s out there, the closest one to me is in Dunedin. Who knew! I happened to be in Dunedin on Friday so tracked it down to the showroom of Dunedin Security at 10 Castle Street. It is the only one in the South Island. In all honesty the number of bricks and mortar retailers who accept it are few and far between in NZ but if you look internationally there are thousands of big companies and retailers who accept it as a form of payment both online and instore. Jonny and I figure that others spend their money on all sorts of crap they just don’t need. We don’t do that, but I’m more than happy to put a bit of money towards something that so far has been increasing in value and is actually useful to use. Bitcoin is cash for the internet and Jonny uses the internet day in and day out and can use bitcoin to buy the software he needs to do his job. I’m more interested in the investment returns that holding it could provide. So, with all the talk about bitcoin in our household it was extremely well timed that I received an email from someone explaining that he is “part of a Kiwi startup helping NZ millennials diversify their savings by providing an effortless way to save small amounts of bitcoin each week”. Ummmm, interesting, even though technically I’m not a millennial (I'm nine years to late dang it)! Was I interested in speaking with them? Heck yes! I jumped on the phone with Sam and he explained their business www.mybitcoinsaver.com (MBS) was launched in November 2016 with their mission being to help Kiwi’s responsibly get involved in bitcoin. He is a computer scientist but did his level best to keep the explaining to a level I could understand. They have developed a micro savings platform where on a weekly basis you can buy a little bit of bitcoin, a maximum of $200 per week. And this is a timely place to explain what a single coin is actually worth. But I warn you, by the time you read this, it will be worth a different amount! I thought my gold investment was volatile, but it has NOTHING on bitcoin! The graph shows the climb of bitcoin over the past year. Most people are able to save small amounts each week and www.mybitcoinsaver.com offer an opportunity to then invest those small amounts of New Zealand dollars into bitcoin. The concept of a regular savings habit sits well with me, because if you can make that a habit then you are likely to continue saving. They have just finished a funding round and have received a financial backer to allow them to develop their product further and their intention is to grow into other countries. I am in full support of tech startups in New Zealand and I wish them every success. MBS is the first official bitcoin service based in New Zealand that has an officially sanctioned bank account. I did see the irony that they needed a bank account for a virtual currency, that is meant to be free from the banking system. They went through a full compliance and risk assessment with ASB who worked with them to understand exactly what they are doing. First you set up a digital wallet and this is where your bitcoin will be stored. They suggested we use www.copay.io. This is completely separate from MBS. Just a note here: Do not lose your wallet i.e. delete the APP on your phone or actually lose your phone. You can only restore your wallet by using a special backup phrase they give you when you sign up and you need to remember this phrase or you will never be able to access your bitcoin again. Seriously, don’t lose your wallet! Bitcoin wallet setup using Copay. 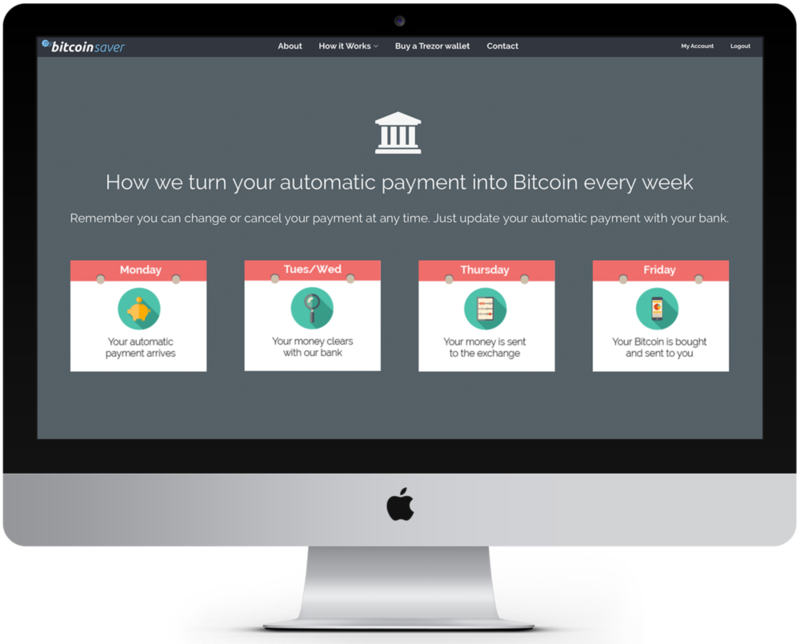 Next you follow your nose on www.mybitcoinsaver.com to set up one off or regular payments. It is a simple process to follow and set up, no different to other set ups I’ve completed in the past really. We have started out with an initial purchase of $200 (this is the maximum we can purchase in a week with MyBitcoinSaver) which we deposited in their bank account on Monday (hence the need for a physical banking system) using our unique reference number. They group together all payments they receive from all of their clients and bulk buy from Europe’s biggest bitcoin exchange. On Friday, half an hour after they have made the bulk purchase their “crypto-distribution engine” (i.e. computer) flicks our allocation of bitcoin out to us. On Friday we became the proud holders of 25.03 mBTC (millibitcoin). A millibitcoin equals to 0.001 bitcoin, one thousandth of a bitcoin. My Account screen showing the total bitcoin received and the current value which changes constantly. Also shows amount deposited, fees etc. How MyBitcoinSaver turns an automatic payment into bitcoin. What does this cost us? Well, I’m usually one to run away from fees but I’m sucking them up at this stage. They charge 3.5% on every transaction when you buy. Ouch. This covers international money transfer rates and “network fees”. These are actually real costs they incur and because they ‘bulk buy’ and lump all of their users purchases together they are doing their best to lower the costs. Their fees are clearly explained on their site and I thought about the last time I changed NZ dollars into US dollars where I got stung for fees too. Fees will cease to be a problem once I start buying and selling with bitcoin! Going forward we are just going to continue having a play with their system and will purchase a minimum $20 NZD each week. I do this with all of our investments and by buying a set amount each week I am “dollar cost averaging” and it smooths out the high and low prices over the long term. Bearing in mind the price of a single bitcoin we are a very teeny weeny tiny player in a very large market. Jonny may use it to purchase things he needs, such as software, we may just sit on it, but otherwise we can use these MBS as well to sell our bitcoin and get our NZD back. We are clearly not betting the farm on this but are instead having a dabble and seeing where it gets us. People put value on a piece of paper with $100 written on it, a picture of a Yellowhead/Mōhua bird and Lord Rutherford of Nelson, so why can’t we put value on a virtual currency? THIS HAS BEEN FUN to set up and learn about. It is something completely different to get involved in and who knows, it might just work. With all investments I find it pays to just make a start and then learn as I go, this is no different. I have a lot of learning to do still! Summary: I can buy a whole lot of crap I just don’t need for $20. I could instead use that $20 to get involved in a small way in one of the most audacious changes to our traditional currency system that we have ever seen. Wall Street strategist Tom Lee believes the price of Bitcoin, which surpassed gold for the first time in March, could eventually rise by another 40 per cent. 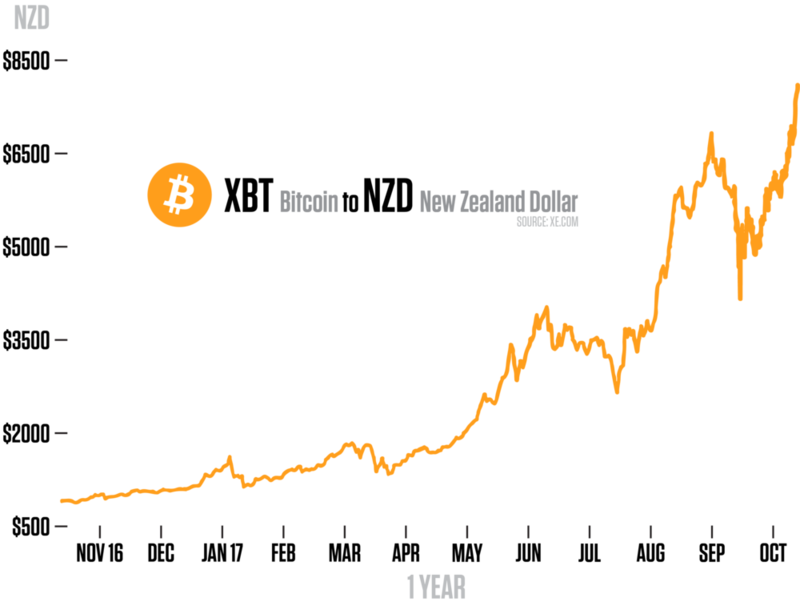 “Based on this premise, we take a stab at establishing valuation framework for bitcoin. Based on our model, we estimate that bitcoin’s value per unit could be $20,000 to $55,000 by 2022,” he said. P.S. I’m also going to be an early adopter of TELEPORTING when that gets invented too by the way. I can't wait!